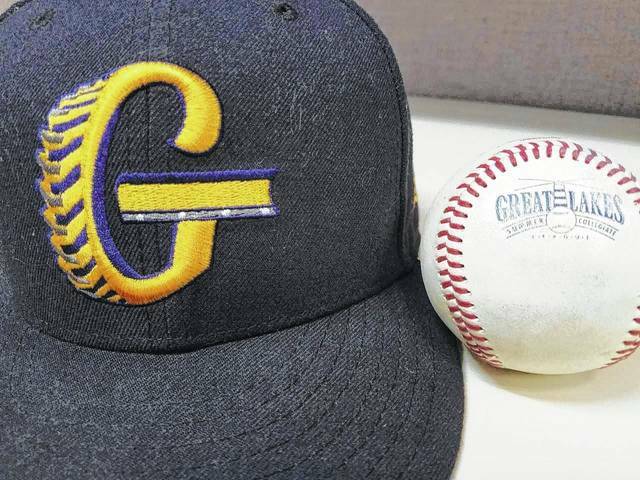 RICHMOND, Indiana — The Galion Graders closed their weekend of Great Lakes Summer Collegiate League baseball on the road in Indiana against the Jazz at McBride Stadium. Game number eight on the season would conclude in dramatic fashion as the Richmond Jazz took their second one-run game from the Graders by a tally of 10-9 in 11 innings. With the victory, the Jazz improve to 5-2 on the year and sit atop the Southern Division. Galion is now 5-3 overall and trail the Lima Locos by half of a game in the Central Division. Andrew Czech was able to steal the win for Richmond when he belted a solo home run off of Galion pitcher Hyatt Shenefield on a 1-0 count and two outs in the bottom of the 11th inning. Shenefield took the loss for the Graders, going 0.2 innings in relief, allowing just one hit and one earned run courtesy of Czech. Throughout the lengthy contest, the Galion squad used a total of five pitchers. Jordan peck got the nod as the starter and went five innings, allowing five hits, four earned runs and walking two batters. Dustin Baird came on for three innings of relief work, giving up just one hit and fanning two batters. Clay Davies threw 0.1 innings, gave up four hits and four earned runs. Brock Balderson allowed three hits and an earned run in 1.2 innings while striking out a batter. Shenefield finished out the game. Galion plated their nine runs on 14 total hits, committed two errors and stranded 11 runners on the bases. Richmond scored 10 runs on 14 hits, committed one error and left seven on the bases. Austin Hathaway had himself a day at the plate, recording two singles, a double and his third homer of the season while scoring three times and driving in two. Matthew Noel also had a three hit game, all singles and scored a run. Braxton Giavedoni and Jarett Smetana each had a pair of singles and Smetana drove in two for the Graders. Brandt Nowaskie belted his first home run of the season, scored twice and recorded 2 RBI in the loss. Joe Crank had a double and an RBI and Brady Hettinger scored twice and finished with a single. Jacob Hoover scored Galion’s other run for the game. Hettinger, Hathaway, Smetana and Hoover all stole one base apiece. The Graders are in possession of a 2-1 home record and sit at 3-2 in road contests early in the season. Galion will welcome the Central Division leading Lima Locos to Heddleson Field at Heise Park on Tuesday June 20 at 7:05 pm. The Graders will then take to the road for their remaining four games in the week. On Wednesday June 21, Galion travels to Lima before a two-game stint in Athens against the Southern Ohio Copperheads on Thursday and Friday. On Saturday June 24, the Graders will face-off against the Grand Lake Mariners in Celina. RICHMOND, IN — On Saturday June 17, the Graders began their weekend series against the Richmond Jazz with a 5-4 loss. Galion started the scoring early, leading 1-0 after the first and 2-0 after two innings of play. Richmond was unable to get on the score board until the bottom of the fourth and were trailing the Graders heading into the bottom of the eighth; 4-1. However, a big four-run eighth propelled the Jazz to the victory. The Graders scored four runs on seven hits and were spotless in the playing field but left six crucial runners on base. Richmond earned their five runs on nine hits, committed three errors and stranded five. Brody Basilone started the game on the mound for Galion and went seven innings while allowing seven hits, four runs (three earned), walking three and striking out five. Clay Davies faced just two batters and was unable to record an out, allowing a walk and an earned run in the loss. Sam Stewart worked a clean 0.1 innings before handing the ball off to Balderson. Balderson allowed just one hit in 0.2 innings on the mound. Giavedoni and Nowaskie recorded two-hit days at the plate for the Graders in the loss. Giavedoni finished with a single and a home run, scored once and drove in two. Nowaskie belted a pair of singles, drove in a runner and swiped two bases on the day. Catcher Parke Phillips had a double, scored a run and recorded an RBI. Crank scored a run and stole a base and finished with a single. Hoover had a single for the other Galion hit for the contest. Matthew Freeman scored a run to round out the Graders offense on Saturday. GALION — The Graders defended their home field well on Friday evening by handing the Settlers from Licking County a 10-8 defeat. Galion plated their 10 runs on 12 hits, committed no errors but stranded 11 runners on the base path. Licking County scored eight runs on 10 hits, committed four costly erros and left five on base. Smetana had a three-hit game against the Settlers on Friday, belting two singles and a double en route to scoring three runs and driving in two. Kent finished with a single and a double and two runs scored while Hathaway also contributed a single and a double with a run scored in the win. Matthew Noel delivered a single and a double as well for Galion, scored twice and drove in a run. Hoover legged out a triple for the Graders, scored a run and racked up 5 RBI for the evening. Grant Fuller and Hettinger finished with a single apiece and Giavedoni scored a run to round out the Galion offense. Kent finished the game with three stolen bases, Fuller had two and Noel swiped a base. Osvaldo Duran started the game for the Graders and went 2.1 innings, giving up seven hits and logging seven earned runs while walking a batter and striking out three. Christian Specht came on in relief and finished up the game, working 6.2 innings, scattering three hits and recording an earned run. Specht would strike out seven total Settlers’ hitters and earn the win.